Resident Evil 4 - Revisiting a Masterpiece...Again. 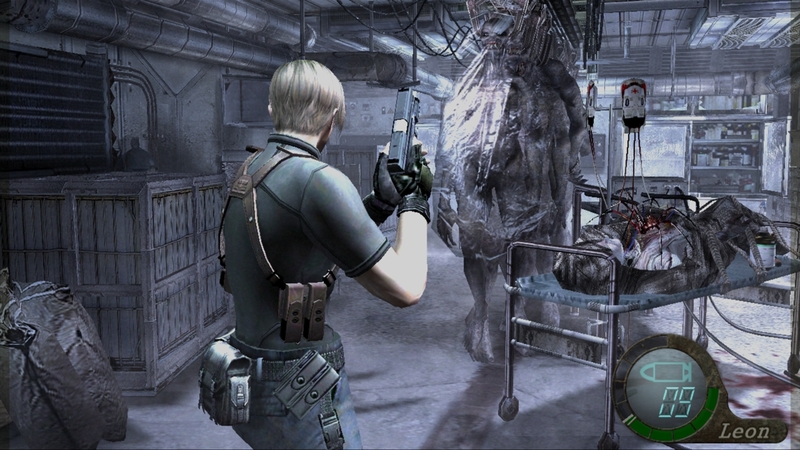 Resident Evil 4, originally released exclusively for Gamecube in 2005, is one of the most celebrated games in history. 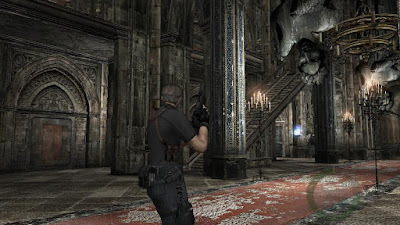 RE4 has won countless awards including a 2nd place spot in early 2006 on Nintendo top 200 games of all time. RE4 has won a plethora of "Best Gamecube Title", "Best PlayStation 2 Title", "Best Remaster", etc, etc, over the years and it's almost impossible to follow all of its prestige. On top of all the illustrious praise, Resident Evil 4 probably deserves an award for "Most Successful Ports", clocking in at an incredible 11 platforms of release, with PlayStation 4 and Xbox One adding to the ranks this past month. It's not uncommon to hear people rate RE4 as a top contender for their favorite game of all time, or real close. Why is that? Why is the fourth installment of the legendary franchise so well received? To anyone unfamiliar with Resident Evil 4 (why do you do this to yourself? ), it is a survival horror title directed by the legendary Shinji Mikami. 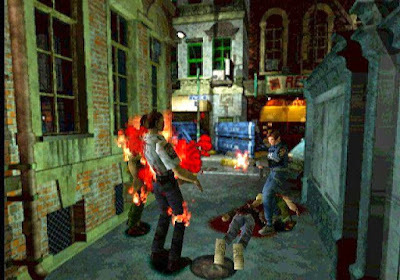 Shinji Mikami has worked on previous Resident Evil titles, but is largely credited for steering Resident Evil 4 into its renowned acclaim. This over the shoulder style accomplishes so many goals at once. 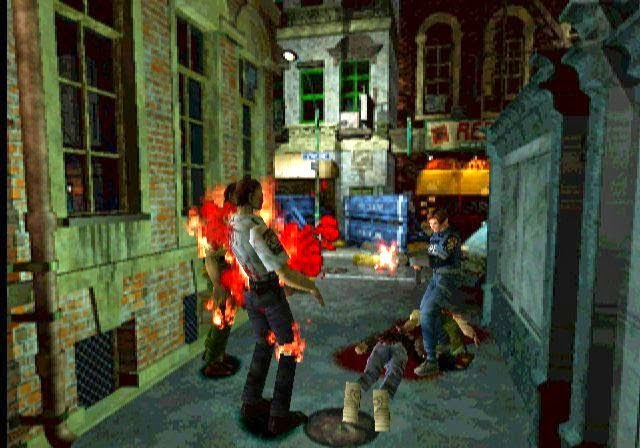 Combat feels more personal, and therefore stresses the "survival horror" even more. For the first time ever players can actively aim their weapons with precision and dispatch enemies as they see fit, not to mention this style allows for a wider variety of enemy types, utilizing different strategies of defeat. 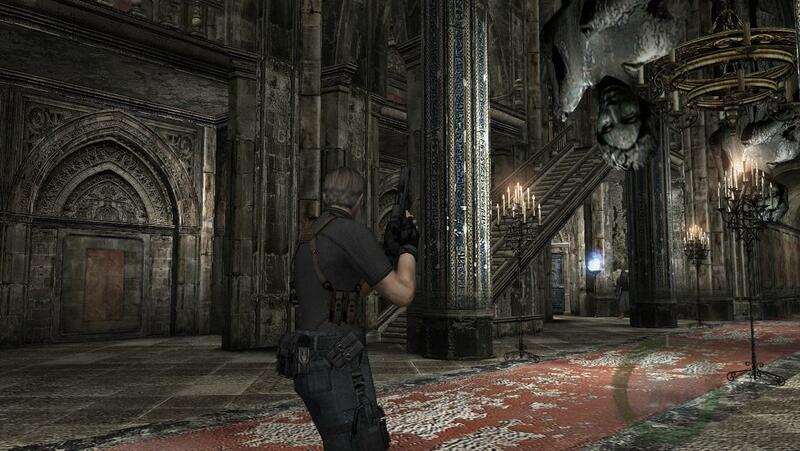 It's also important to note that now while Leon is aiming down his sights, he cannot move. 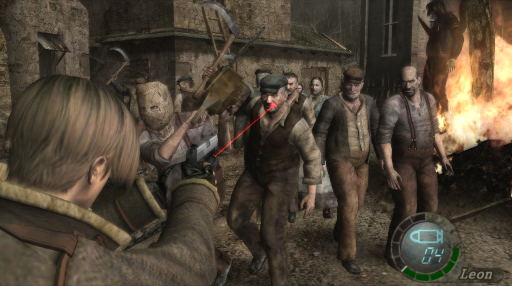 The inability to strafe or even slowly walk backwards does wonders to add to the tense atmosphere presented in Resident Evil 4. These new mechanics allow Leon to utilize a pretty big arsenal, and use these weapons well. Instead of spraying a machine gun in a direction, players can fire at enemies legs, causing them to fall. Shotguns can be used more efficiently than in previous titles and not to mention grenade throwing is as effective as it should be. All of these new guns and items are great, but how does one manage this arsenal? Well they thought of that too. 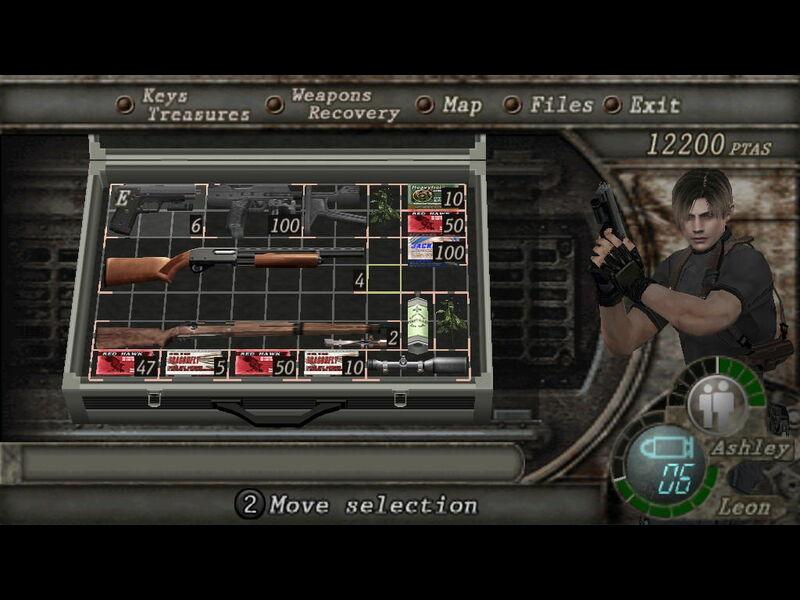 Resident Evil 4's inventory system is another huge change done perfectly. Despite being frustrating early due to being sensibly limiting, this system of organization allows a relatively believable approach to managing what Leon has on hand. Too much gear and things become trivial but not enough and players find themselves frustrated and annoyed while being unable to deal with enemies. Players can move items around in the grid, rotating them as they see fit to utilize their given space as efficiently as possible. Just like the game's combat, this system puts some stress on the player, but is appropriate to the genre and atmosphere intended. Not only is combat excellent, but the way the player can interact with the environment was overhauled as well. Leon can jump out windows, climb ladders, push ladders over (while enemies are climbing them, cartoon style), QTEs and jump over small cover. This all allows for more immersion in the environment via interacting with it. While on the subject of environments, this is another field I feel RE4 nailed perfectly. Previous RE titles had players exploring small and cramped areas like mansions and city streets, Resident Evil 4 presents players with a plethora of areas. 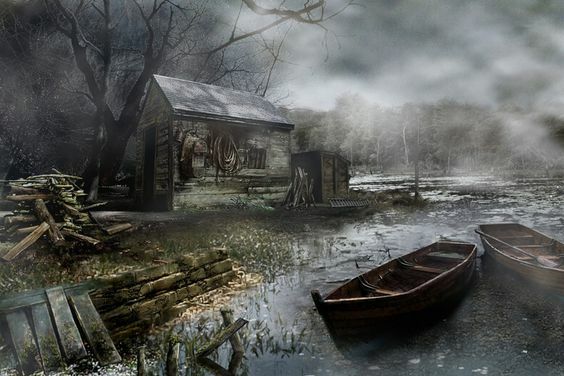 Old medieval castles flooded with cult members, rural Spanish villages, abandoned mine shafts, high tech labs and a personal favorite of mine, a filthy infected swamp. Each of these areas present challenges and never fail to keep up the tense atmosphere and feeling of, "Holy crap, what is around the next corner." 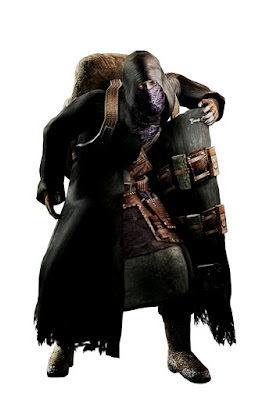 Despite having absolutely no effect on the plot, having almost no lines of dialogue and all around making little sense, The Merchant was one of the best decisions made in RE4. The Merchant is one of the player's biggest motivations outside of the task at hand to not only continue with the plot, but to push yourself to the explore even the most daunting of areas. The Merchant offers Leon a multitude of items, weapons, upgrades and gear in exchange for currency, which is rewarded via exploration and dropped from enemies. This feature wasn't present in previous Resident Evils and is all around an excellent way to help players stay up to snuff against the constantly evolving Las Plagas menace. Resident Evil 4 has multiple game modes outside of the plot including a Gears of War Horde mode-esque "Mercenaries" mode and an Ada Wong sub-plot on top of the collectibles available in the normal campaign. These features add a ton of replay ability to Resident Evil 4, adding to its overall worth. So what makes Resident Evil 4 so good? Capcom and Shinji Mikami proved to the masses that a legendary and very established series can turn its very recipe on its head and produce amazing results. Resident Evil 4 reinvented its own series, its own genre and honestly video games in general to an extent, proving that after 11 years of age and 11 ports Resident Evil 4 stands every test of time. I've been playing through the PlayStation 4 port and the remaster is great, and revisiting the game again hasn't even remotely felt boring. I feel I cannot recommend Resident Evil 4 enough, and if you haven't played it there's so many ways to get a hold of the title, you won't regret it! 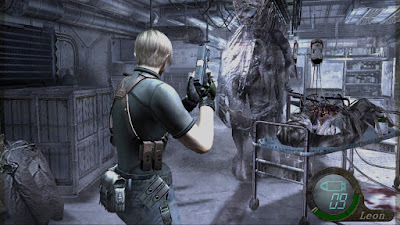 Have you played Resident Evil 4? What was your favorite aspect? Least favorite? Let me know in the comments below!